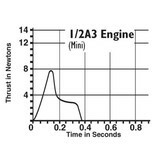 The Estes 1/2A3-4T engine is single stage engine designed for model rocket flight. 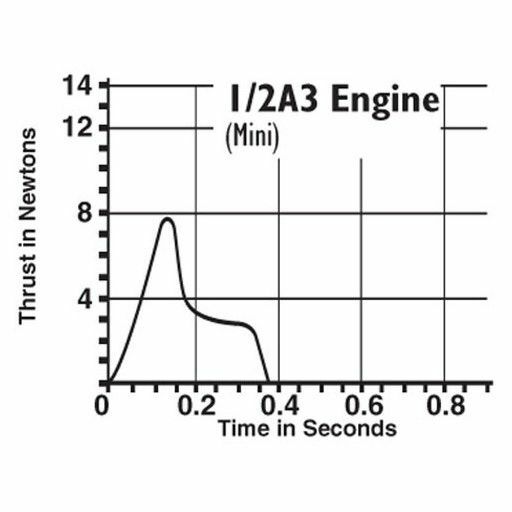 This engine is a mini engine designed for flights in lightweight rockets. Each package includes 4 engines, 4 starters and 4 starter plugs. PLEASE NOTE: This item will ship by US Postal Service only. You MUST HAVE a physical mailbox or post office box for delivery. Email us, if you do not have a physical mail box or post office box for special handling options. Residents of California, New Jersey, Rhode Island and North Dakota please review the Terms of Sale for state specific restrictions. 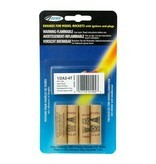 Model rocketry is a legally permitted activity in every state in the U.S. However, four states have laws and regulations that specify certain age or permit requirements. In California one must be at least 14 years of age to purchase model rocket engines through size “D” and must be 18 years of age to purchase larger model rocket engines. Children as young as 12 years of age may receive and use model rocket engines under adult supervision while participating in a bona fide educational program. Permission of the landowner or local fire marshal may be required before launching. Many areas have pre-approved launch sites and times. It is also important to remember that a small number of counties and municipalities in California have ordinances that are more restrictive than state laws and regulations. Due to the sheer volume we are unable to track local ordinances. ATTENTION CALIFORNIA RESIDENTS: Estes products may contain chemicals known to the State of California to cause cancer, birth defects or other reproductive harm. 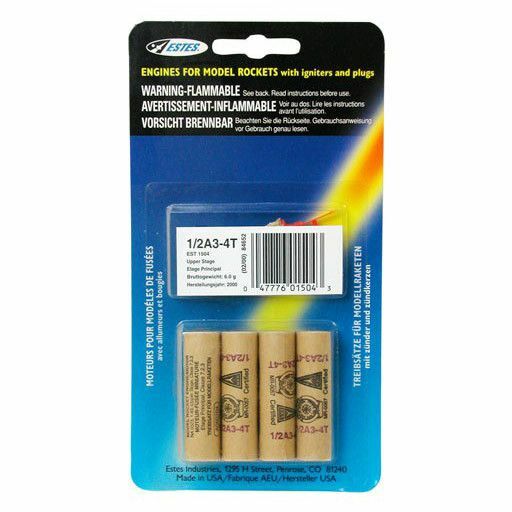 In New Jersey one must be at least 14 years of age to purchase model rocket engines through size “C” and must be 18 years of age to purchase larger model rocket engines. Children as young as 12 years of age may launch model rocket engines under adult supervision while participating in a bona fide educational program. In Rhode Island one must be at least 16 years of age to purchase and use model rocket engines through size F.
In North Dakota one must be at least 10 years of age to purchase model rocket engines through size “D” and must be 14 years of age to purchase larger model rocket engines. Verbal or written authorization of the local fire marshal and landowner are required before launching. Launching and recovery areas may not be located within 5 miles of any airport without permission from the appropriate authority.